This is the fourth CD by this incredible young talent from Russia Alexey Kruglov who plays not only saxophones but piano as well, sometimes all of them at the same time. 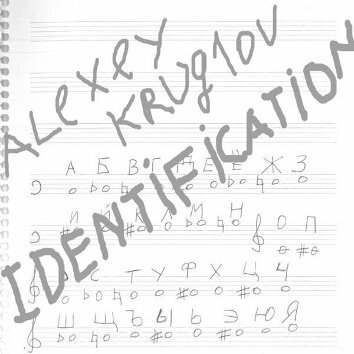 His seminal work "Identification" is one long piece of music recorded by his "Krugly Band" with Dmitry Denisov on bass and Vladimir Borisov on drums. For this recording Kruglov uses the principle of monogram borrowed from academic music in which words or letters are translated into sounds. It is important for Kruyglov that the music, with all its emotional upheavals, turns into drama or becomes history.